In 1930, Himalaya's founder Mr. M. Manal, saw restless elephants being fed the root of a plant to pacify them. Fascinated by the plant's effect on elephants, he had it scientifically evaluated for human use, and thus began a worldwide legacy of herbal healthcare. The complexity and timing of the entire seed-to-shelf process for Himalaya, and for the plants themselves, is highlighted by three important mandates: purity, efficacy, and batch-to-batch consistency. Himalaya's reputation is for providing multiple human, double-blind placebo clinical studies to back the stated benefits of every formula and single herb product-no third party science. The Himalaya legacy now spans over 80 years, stretching from one man, to his son, to his grandson-and from humble beginnings in India, to products now offered in over 90 countries. Today, Himalaya employs over 5,000 people worldwide, with one product sold every 1/8 of a second. I love Himalaya Botanique's Hydrating Face Wash! The smell is amazing and it cleans ever trace of makeup off my face without irritating my skin. My skin actually feels hydrated after I cleanse which is unusual for me. 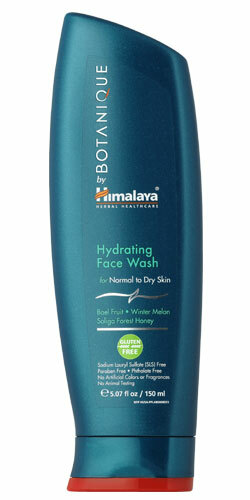 Normally my skin feels tight and dry after I cleanse it but with Himalaya Botanique's Hydrating Face Wash it looks and feels hydrated. This is a great product and I highly recommend it to anyone looking for a more gentle hydrating face wash.
Himalaya Botanique's Exfoliating Walnut & Wood Apple Face Scrub is one of my favorite face scrubs! The smell is amazing! After using this face scrub my skin feels silky smooth and doesn't feel like any moistures been stripped in the process. Himalaya Botanique's Exfoliating Walnut & Wood Apple Face Scrub scrubs away all the dry flaky skin and leaves my skin looking cleansed and refreshed. Intensive Moisturizing FootCare Cream is an extra rich hydrating cream. Supercharged with soothing ingredients including, Soliga Forest Honey, Patchouli, Coriander, Beeswax and Linseed, that help combat rough, cracked heels and dry skin. This unique nourishing, non-greasy formula absorbs quickly and enhances the ability of your skin to draw in and retain moisture. When used on a regular basis, it leaves your feet looking and feeling pampered. My husband has extremely dry feet. They often crack and are covered in dry flaky skin. 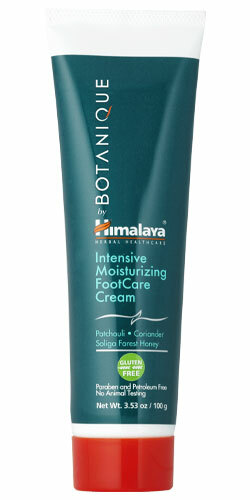 After a week of using Himalaya Botanique's Intensive Moisturizing FootCare Cream his feet look amazing. Even better, he says his feet feel hydrated. They're no longer cracking and the flaky skin is a thing of the past. Himalaya Botanique's Intensive Moisturizing FootCare Cream smells wonderful and feels silky smooth on the skin. I love that it's non greasy and absorbs quickly. I highly recommend this product to anyone looking for a great smelling foot cream that works! 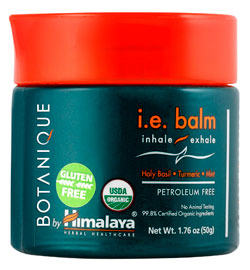 A couple of weeks my kids and I all came down with a cold that developed into a cough and Himalaya Botanique's i.e. balm completely saved us at night. We were so stuffed up and when I applied Himalaya Botanique's i.e. balm it immediately opened up our sinuses and helped us sleep. I love that it's natural and that it works quickly. Himalaya Botanique's Neem & Pomegranate Toothpaste tastes great and works wonderfully. I love that it's sweetened with xylitol. Xylitol helps to keep your teeth healthy by helping to maintain a neutral pH level in the mouth and also preventing bacteria from sticking to the teeth. My mouth feels clean and fresh after every brushing. Follow Himalaya Botanique on social media!